The purpose of this march is to allow high school students the opportunity to demonstrate their commitment to receiving a quality education. The National Civil Rights Museum is inviting high school students from across the city and county to participate in a Student Responsibility March planned for Saturday, April 20, at 10:00am. During a 1.5 mile march, beginning at City Hall and culminating with a program at the National Civil Rights Museum, hundreds of area high school students will declare that they are taking responsibility for receiving a quality education by pledging their intent to get to school and classes prepared and on time, focus and participate during class, take advantage of tutoring sessions and school-related extracurricular activities, etc. The purpose of this march – to allow high school students the opportunity to demonstrate their commitment to receiving a quality education and to allow parents, teachers and community members the opportunity to support them in doing so. 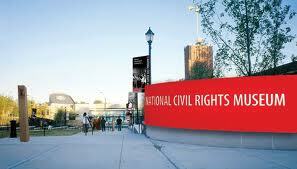 Since Fall 2012, the National Civil Rights Museum has served as a platform for discussing the disparities in access to quality education in America. Through its website and social media, the initiative has offered ideas on how teachers, parents, students and community members can become involved in helping students overcome achievement obstacles. In accordance with this platform, the museum is hosting the march, just prior to the start of Memphis City Schools’ testing period. Students are encouraged to register in school groups. Public supporters may register online at civilrightsmuseum.org. Registration for the event is free and the deadline is April 8th. For more information on the march visit civilrightsmuseum.org.